With its 156 kilometres of shores, Lake Garda is an ideal spot for all kinds of holidays, thanks to the variety of landscapes, vegetation, culture and traditions you can find here. That’s why millions of people come to this area every year. The northern part of the lake is just perfect for mountain enthusiasts: it is enclosed by sheer cliffs, where alpine flora reigns supreme. Those who prefer the Mediterranean environment will enjoy the southern area: here the lake stretches out in a round blue basin, surrounded by rolling hills where olive trees, vines, oleanders and agaves grow. The lake offers many opportunities to enjoy various activities: lovers of windsurfing and trekking will find ideal conditions in the north, while the south is perfect for fans of mountain biking and thermal baths. 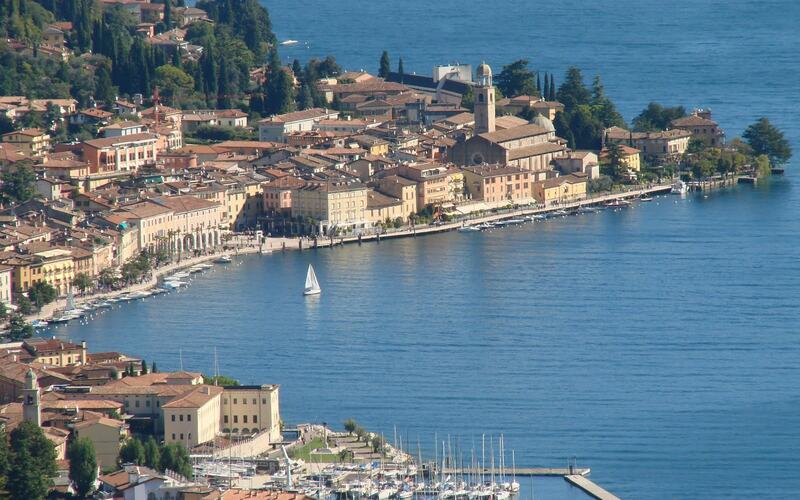 These are just a few examples of what to do on Lake Garda. The shores, studded with villages and small towns, add charm to the beauty of the rich natural environment: in the south, the villages lie in lovely inlets, while in the north they nestle between the lake and the mountains. 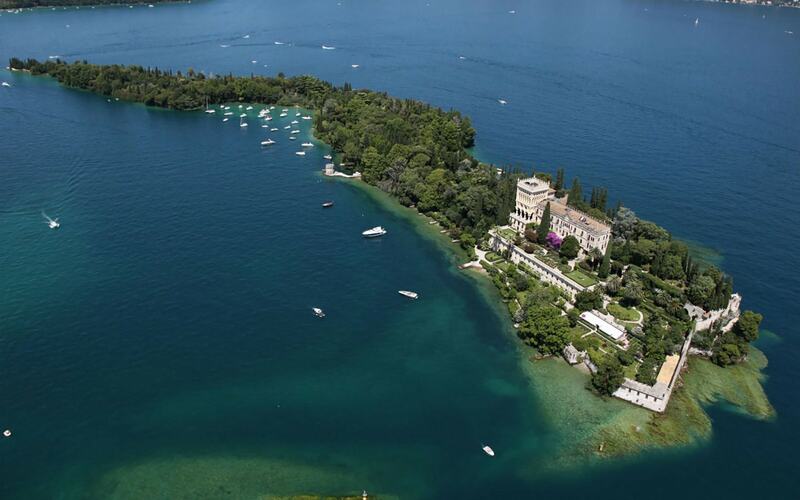 Dante, Goethe, Rilke, Klimt, Corot, Joyce, Carducci, D’Annunzio, Callas are just some of the artists and celebrities who spent time on Lake Garda, in some cases deciding to live here for the rest of their lives. Here we suggest two guided tours, which will allow you to fully enjoy the wonderful surroundings of the lake in only one day. 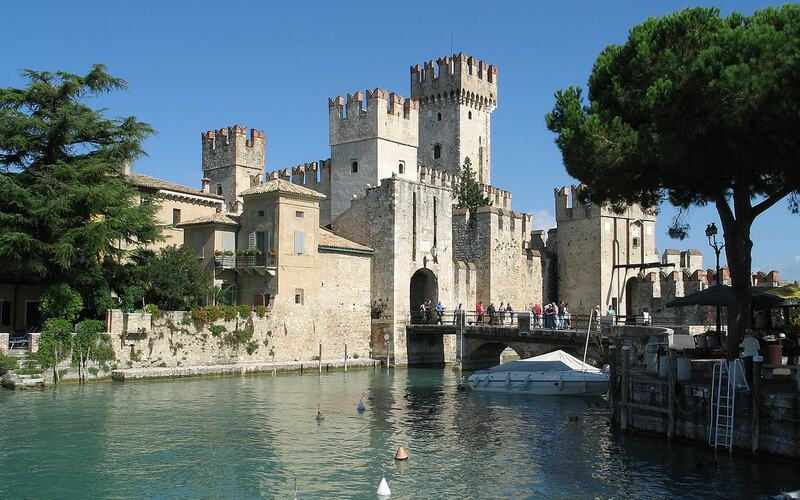 Departure from Sirmione; lunch in Salò; afternoon in Lazise or Bardolino; trip back to Sirmione by private ferry. 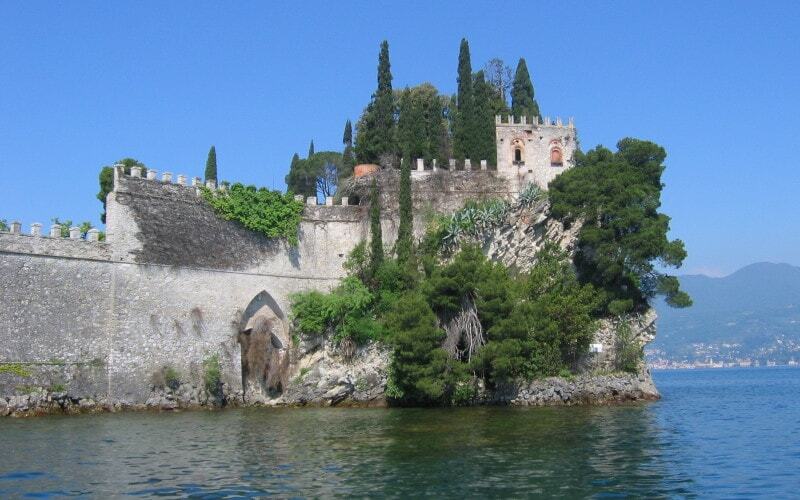 While leisurely sailing by ferry, you will discover two of the twenty most visited sites in Italy: the Rocca scaligera (a castle built by the Scaligeri family from Verona) and the Catullo’s Grottoes. The former was built in 1277 in order to keep the medieval village of Sirmione under control while the latter are the remains of an ancient Roman villa (1st century A.D.) located at the end of the Sirmione peninsula: a stunning lookout over the lake unparalleled in Northern Italy. The tour continues along the coast on the Brescian side of the lake up to Salò. Strolling through the city centre, you will admire elegant houses, showing the sophisticated style of this small town, which was the capital of the so called Magnifica Patria della Riviera (literally Magnificent Homeland of the Riviera) – a kind of confederation including 34 local villages that lasted from the 14th to the 18th century. The tour will take you inside the duomo of Santa Maria Annunciata, a church so majestic and rich in works of art to deserve the title of “Duomo”, even if it is not an Episcopal cathedral. Lazise is a medieval village, still surrounded by the original walls; here you will visit the marina and the customs house (14th century), symbol of the long-lasting Venetian rule. This alternative leads you to discover Bardolino, a characteristic village protected by ancient walls with several churches, among which the striking pieve di San Severo (11th-13th century). Departure from Gardone Riviera, walk in Limone, lunch in Riva del Garda, afternoon in Malcesine and trip back to Gardone Riviera by private ferry. You will discover the history of the Vittoriale degli Italiani and the beautiful Art Nouveau villas dotting the lake shore. 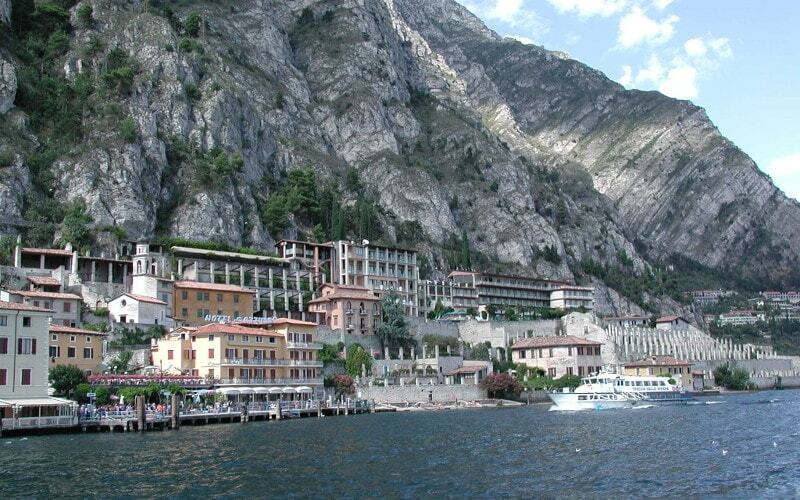 The tour continues along the coast on the Brescian side of the lake up to Limone. Walking along the narrow streets of this picturesque village, you will discover why tourists love it so much. Limone is a village clinging to the mountains, with winding alleys lined by artisan shops and boutiques: you will enjoy a lovely stroll. What uniquely characterizes Limone are the limonaie (remains of old lemon houses, tall glass-free greenhouses), which are the most northern lemon houses in Europe. Walking through the old city centre, you will admire the impressive Piazza III Novembre, surrounded by medieval arcades and embellished by the palazzo pretorio and the Apponale Tower. The tour then leads you closer to the lake to enjoy the view of the rocca and the beautiful church dell’Inviolata, an example of Baroque architecture that exhibits paintings by Palma il Giovane (1544-1628) and stuccos by Davide Reti, one of the most famous Baroque stucco workers in northern Italy. The ferry tour continues up to Malcesine (in the province of Verona). The fairy-tale village of Malcesine is described by Goethe in his masterpiece “Italian Journey”, because of its power to offer amazing panoramas and evoke romantic atmospheres. Malcesine, clinging to the rocky foot of Mount Baldo, is overlooked by a medieval fortress, which was declared a national monument in 1902. Trip back to Gardone Riviera. 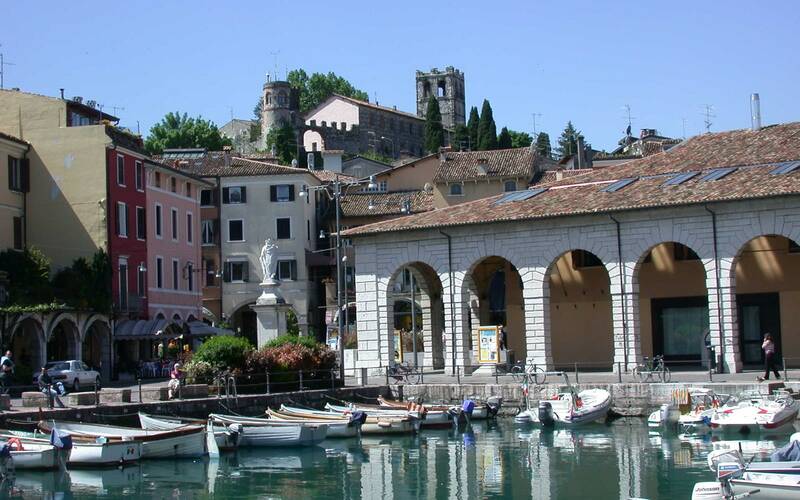 On the coast belonging to the province of Brescia, there are several lovely villages that make Lake Garda so charming. Here are just a few examples. Sirmione is a striking medieval village, protected at its entrance by a fortress on the lake, while at the end of this peninsula you find the national archaeological site of Catullo’s Grottoes, showing the remains of an immense Roman villa. 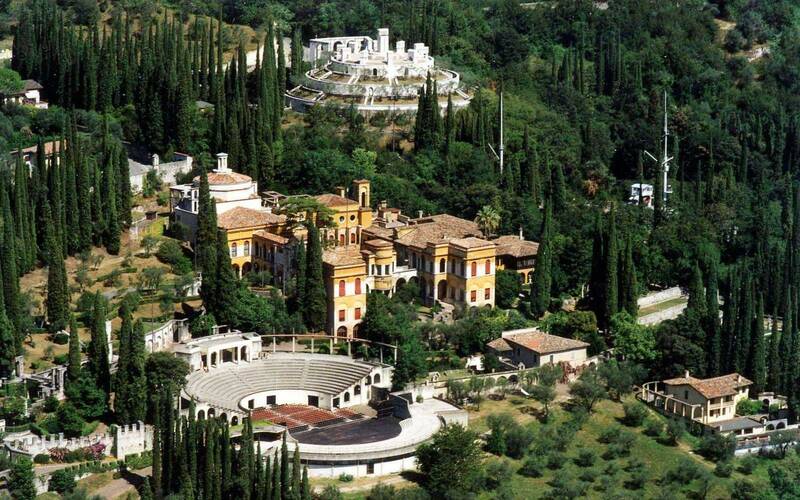 Worth visiting is certainly Gardone Riviera, where Gabriele D’Annunzio (1863-1938), leading figure of the Italian Decadent movement, built his majestic residence, the well-known Vittoriale degli Italiani. We heartily recommend a tour of Salò, a small town in liberty style where you can still feel the atmosphere of the Belle Époque, sitting in one of the many lounge bars on the waterfront. In Desenzano, another popular tourist destination, the absolute must-sees are the amazing mosaics in the ancient Roman villa and the “Last Supper”, a fine painting by Giambattista Tiepolo located in the Duomo of Santa Maria Maddalena. We cannot forget the local products: on Lake Garda, you can taste delicious fresh-water fish, PDO (Protected Designation of Origin) olive oils, high quality wines, lemons and citrons. To arrange these guided tours with any other destination on Lake Garda or in the province of Brescia, please contact us.